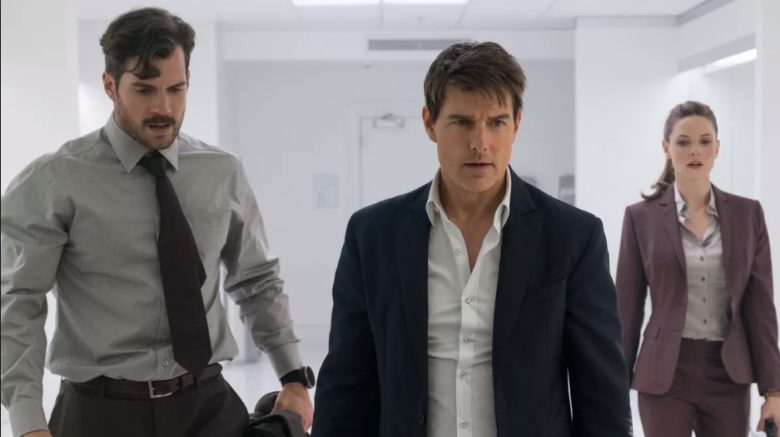 Mission: Impossible – Fallout makes this list because the each act of the film on their own are better self-contained action stories than most blockbuster fare put out this year. A stunning triptych on the altar of Tom Cruise’s self-destructive self-regard, Fallout is built on a thorough reeling through the list of pretty much every set-piece director Christopher McQuarrie can dream up and Cruise can delude himself into being dying (not yet literally) to do. Ethan Hunt dives through the Parisian sky as lightning cackles around him, decimates a bathroom with a totality and violence not usually seen outside of Stephen’s Day jacks-visits, rams trucks into rivers, races motorcycles around every square inch of one of Europe’s largest cities, chases after man mountain Henry Cavill (if he doesn’t crush you, no giant thing will) with a broken foot and with over 90 minutes of his latest mission already clocked, the man and his film haven’t even really gotten started yet. By the time Hunt starts playing Helicopter Conkers in the Himalayas, you’ll be literally floored as you realise you’ve gone way beyond the edge of your seat. A preface: When Tom Cruise found out that a member of the Spielberg family was seeing a psychiatrist, he had faithful Scientologist acolytes, who hate psychiatry, picket the doctor at their home. Scientologists assigned the actress (and member) Nazanin Boniadi to be Cruise’s new girlfriend post Penelope Cruz, pre-Katie Holmes, dumped her for a perceived sleight to Scientology honcho David Miscavige and when Boniadi expressed her disappointment, the church punished her with months of menial labour, digging ditches and cleaning toilets with a toothbrush. He publicly criticised Brooke Shields for using anti-depressants when she had post-partum depression. He had Nicole Kidman’s phone tapped, and after divorcing Kidman (whom Scientology never approved of because her father was a well-known psychologist back in Australia), Cruise turned their two children against her with the help of the church, to the point that they now call her a ‘Suppressive Person’ and Kidman doesn’t count the two when thanking her children in speeches…it’s just worth keeping in mind sometimes that Cruise is a highly-wound maniac in deep with a cult that manipulates and abuses members and neglects children, before launching into effuse praise of his work. It might well be the intense ethic that Scientology has developed in Cruise, or his eagerness to have people forget his off-putting mid-00s energy, that sees him so heavily devoted to making the Mission: Impossible series go from strength-to-stength as one of Hollywood’s most innovative action franchise. The latest installment Fallout, breaks new ground for the series, pushing it to the most berserk heights yet. Really berserk.